Aside from chicken rice and nasi lemak, a huge part of the Singaporean identity lies in its very own language. 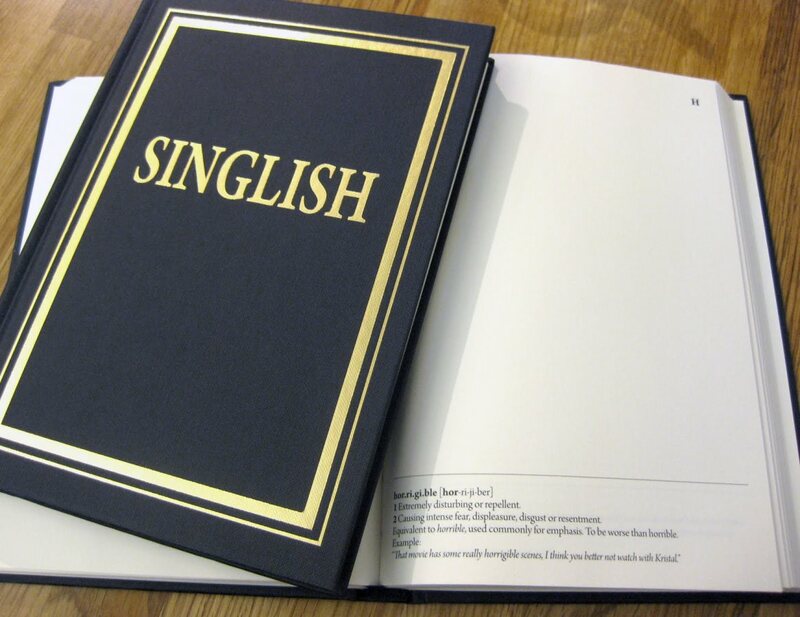 No, not the English language, but rather, the unique Singlish language. If you have been living in Singapore long enough, chances are you must have heard or experienced this peculiar Singlish language first-hand when you are ordering your favourite chicken rice set at the local hawker centres or even when you are queuing for a refreshing cup of caramel Frappuccino in heartland cafes. If you are an expat or a new resident of Singapore, allow us to decode and arm you with some of the Singlish essentials for your seamless transition to this vibrant side of the world. The most overused expression in the Singlish world, ‘lah’ is a suffix used to connote an emphasis on that particular sentence or the word before. While ‘lah’ is an almost beginner-level Singlish that is relatively easy to master, the same cannot be said for ‘leh’ and ‘lor’. For a newcomer, the difference between the two may appear subtle and it may take a while to get a grasp of its correct usage and context. In a nutshell, you should use ‘leh’ when you are unsure of something — it is almost like a question within a statement. A: Eh, what time are we meeting the rest for dinner? B: I am not sure leh. Jane is the one who texted you, right? On the other hand, ‘lor’ is typically used at the end of a sentence that signifies a sense of finality and resignation. It is an expression that rolls out from your tongue to play down minor disappointments and a subtle effort to move on from the current topic and shift the conversation somewhere else. A: I heard your team lost last night. What happened? B: Because we not good enough lor. A not-so-witty catchphrase that is popular among the Platoon Sergeants and the Officers during the two-year dreaded National Service to inform the snowflake generation of soldiers to complete the given tasks at their own pace. Some of the soldiers somehow grew fixated to this phrase and brought it over with them into their working life. So, in the office context, the use of this phrase is an indication that you are allowed to do your work at your own time and pace. For instance, your ex-Army supervisor might tell you “Eh Dicky, the favour I asked from you, it’s not urgent, so own time own target, okay?”. This denotes that there is no specific deadline for your given task and that you can choose to complete it whenever you can at your free time or at your own pace. This expression signifies self-praise at its best (in the local style, no less). It is a remark designed for those who delicately aim to flatter and praise themselves after tackling a problem. A: You want to know how I executed the marketing campaign on time and under budget? It was awesome! B: Wah, ownself praise ownself! This phrase has also become a common remark for modern netizens given the surge in businesses who self-promote their product and services to elevate themselves higher up the pedestal. Netizen: Wah, this new tyre company claim to be the number one tyre expert and specialist in Singapore! Ownself praise ownself! An over-the-top recommendation to express that a certain something is so awfully good that it’s almost a blasphemy if you don’t try it before you die. Example: No joke, guys, this restaurant serves the best beef rendang ever! One serving is never enough! Die die must try! Yet another phrase made popular by the men in green, ‘catch no ball’ basically means to be downright clueless about something. Example: Can you explain to me what was discussed in the meeting earlier today before lunch because I really catch no ball. Ever had a task dump onto you when your supervisor seems to be having difficulties getting volunteers for the job? Well, that is what you call an ‘arrow’. You can usually hear the term being used in contexts like “Hey! Guess what? I have just been arrowed again to buy stationery for the team again” or “Any volunteers for this task? If not, I will just arrow someone to it!”.